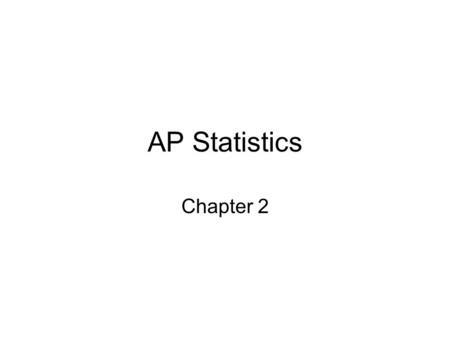 AP Statistics Chapter 2. 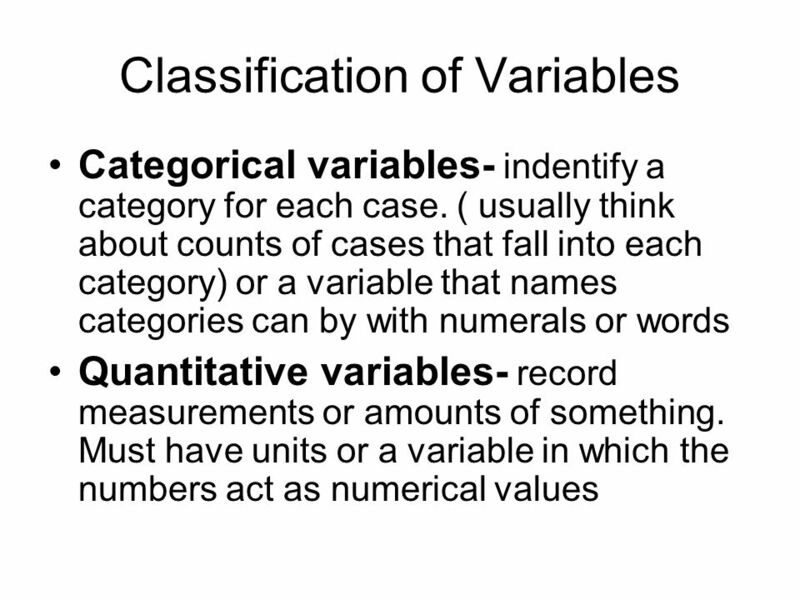 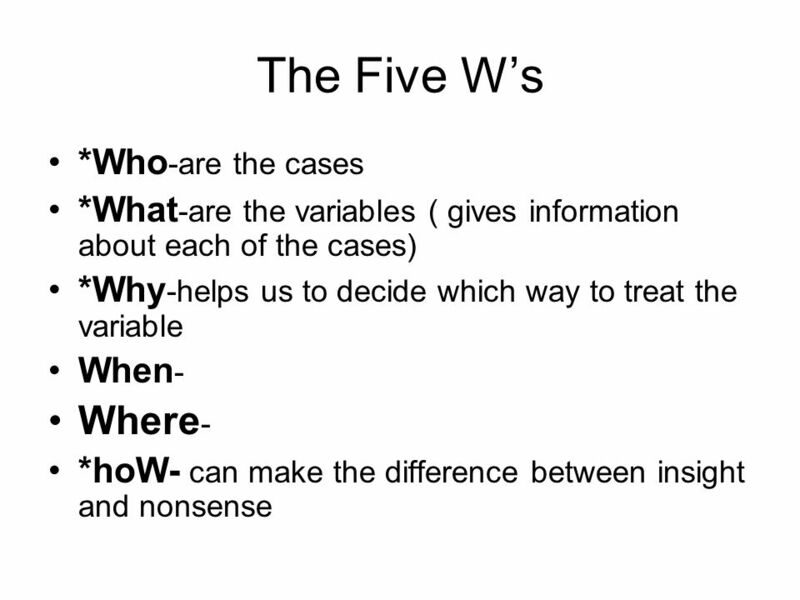 The Five Ws *Who -are the cases *What -are the variables ( gives information about each of the cases) *Why -helps us to decide. 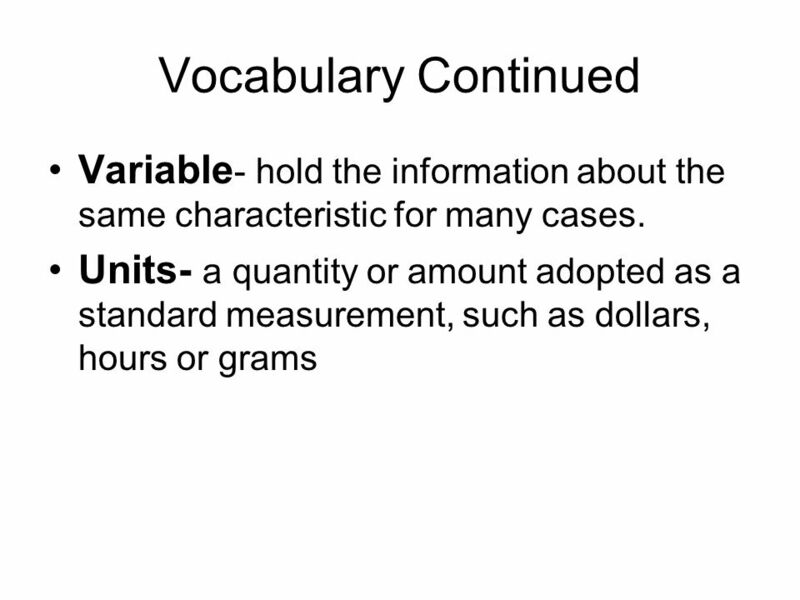 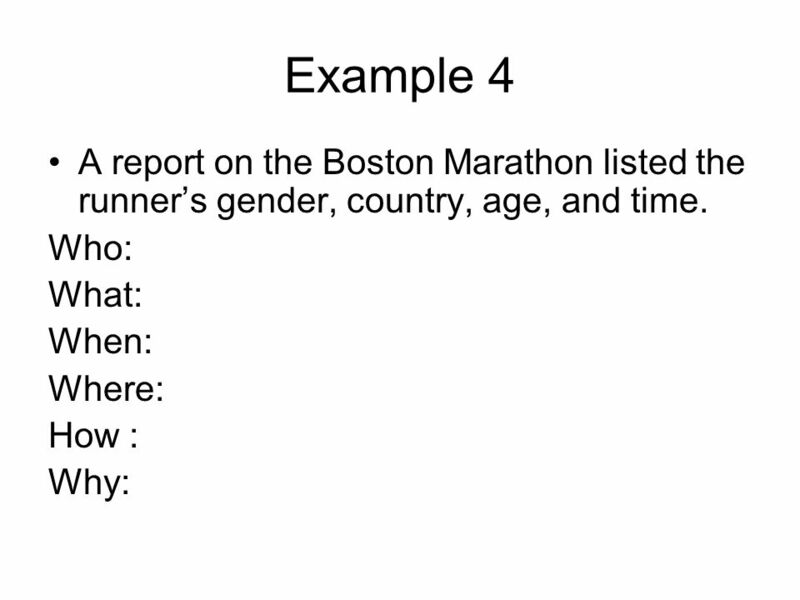 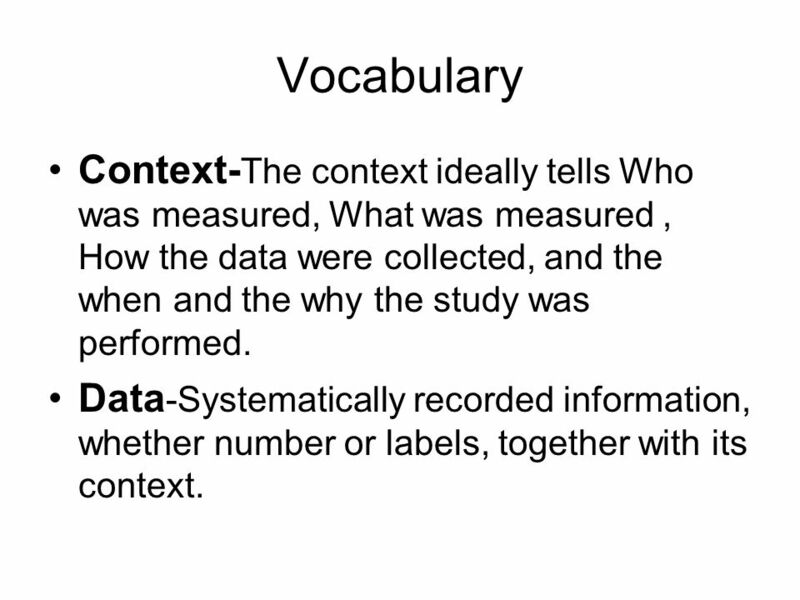 4 Vocabulary Context-The context ideally tells Who was measured, What was measured , How the data were collected, and the when and the why the study was performed. 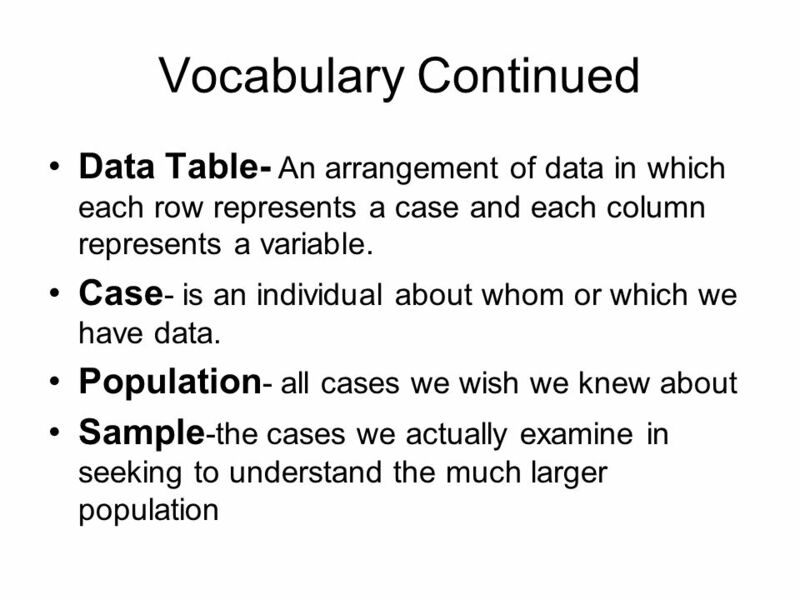 Data-Systematically recorded information, whether number or labels, together with its context. 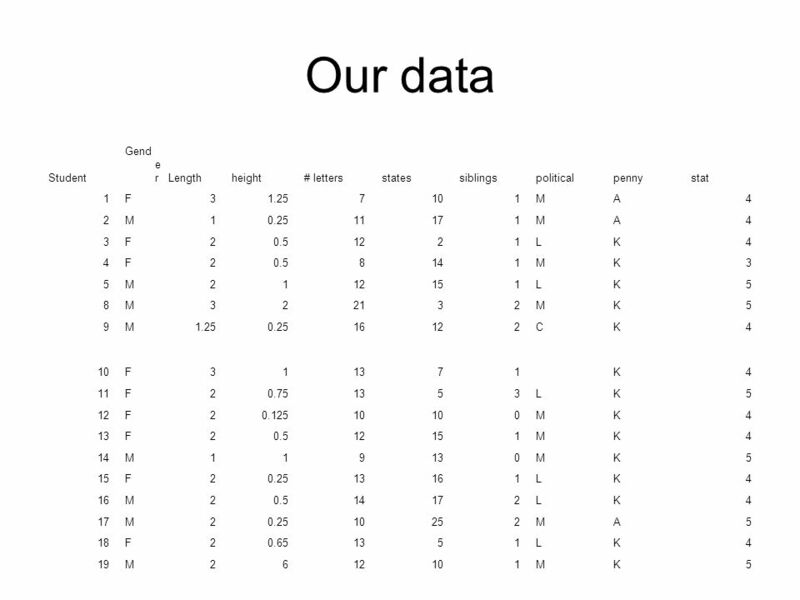 7 Our data collection What are some of the things you learned about the class by inspecting our data? 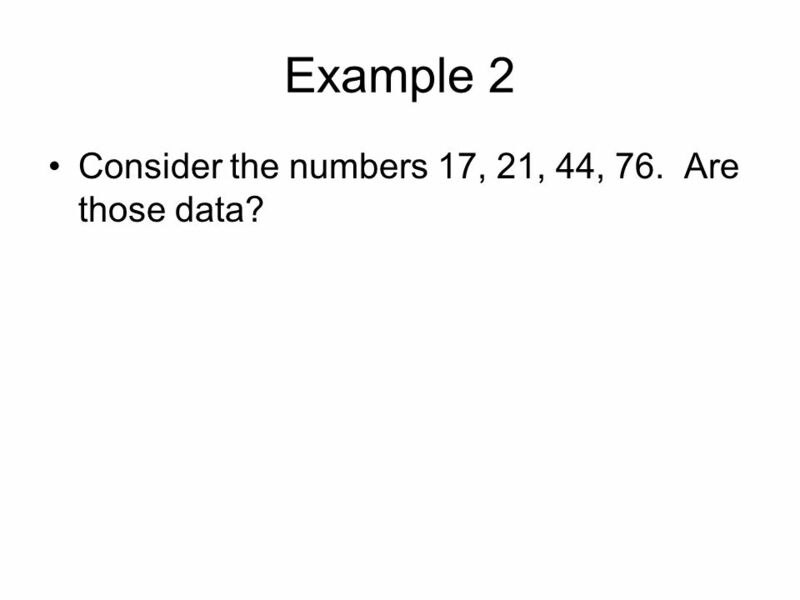 9 Example 2 Consider the numbers 17, 21, 44, 76. 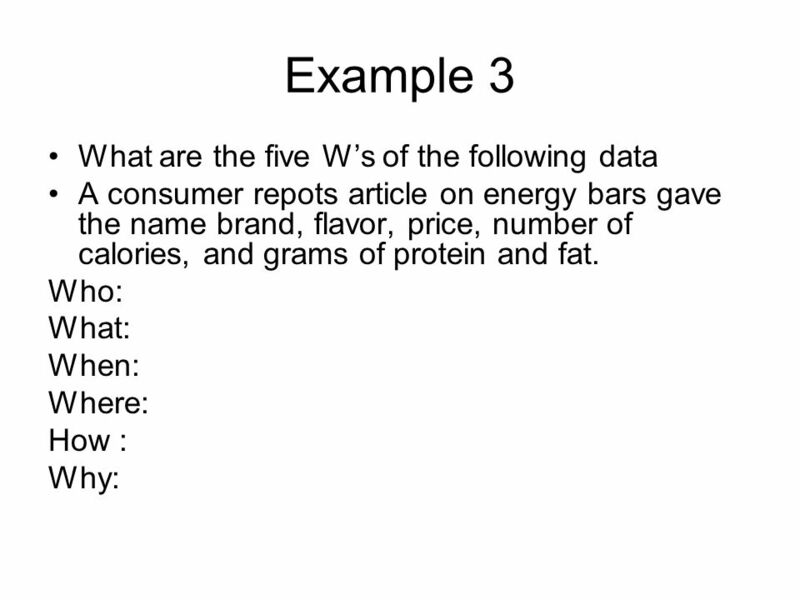 Are those data? 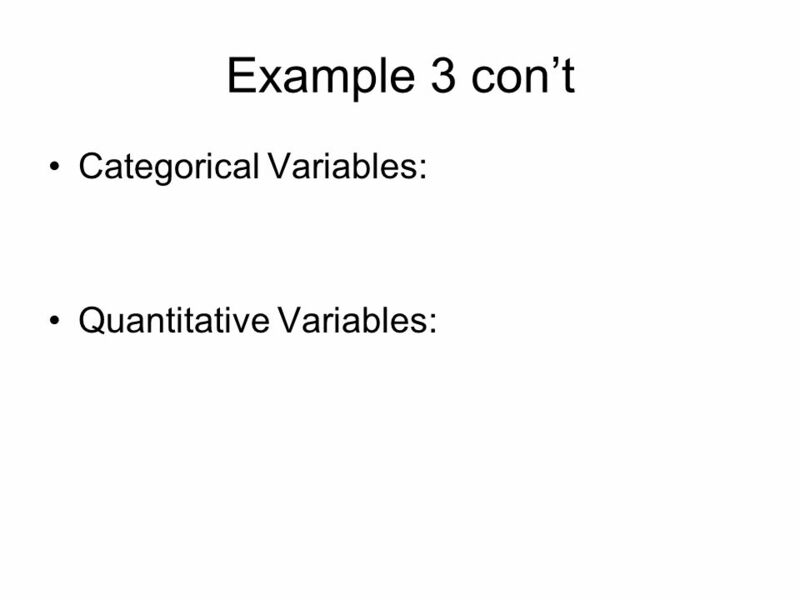 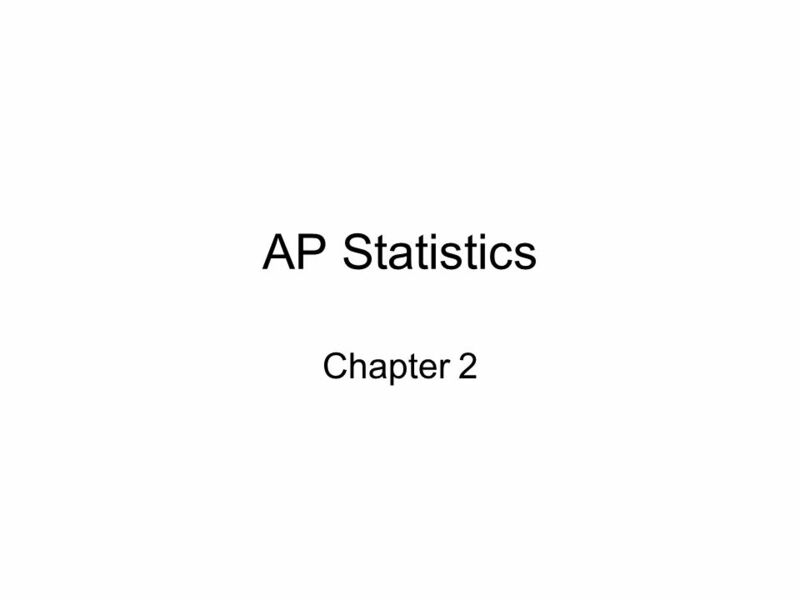 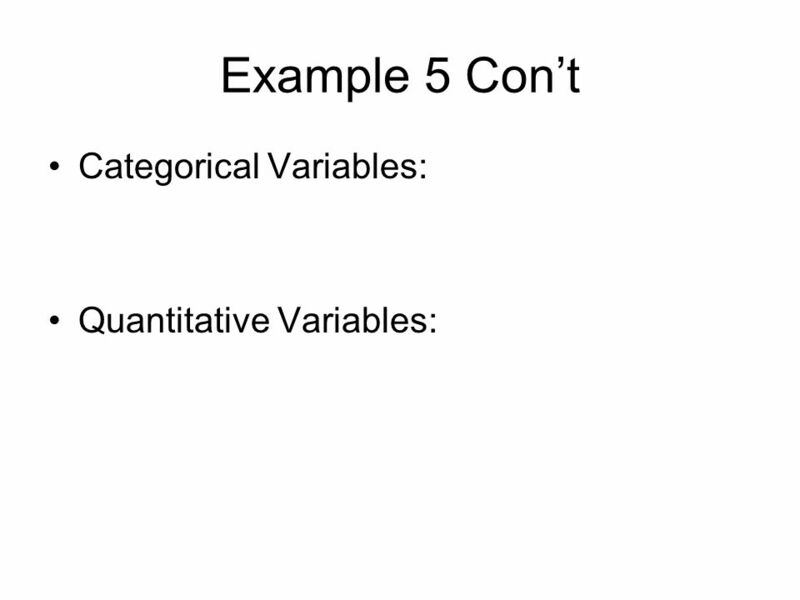 Download ppt "AP Statistics Chapter 2." 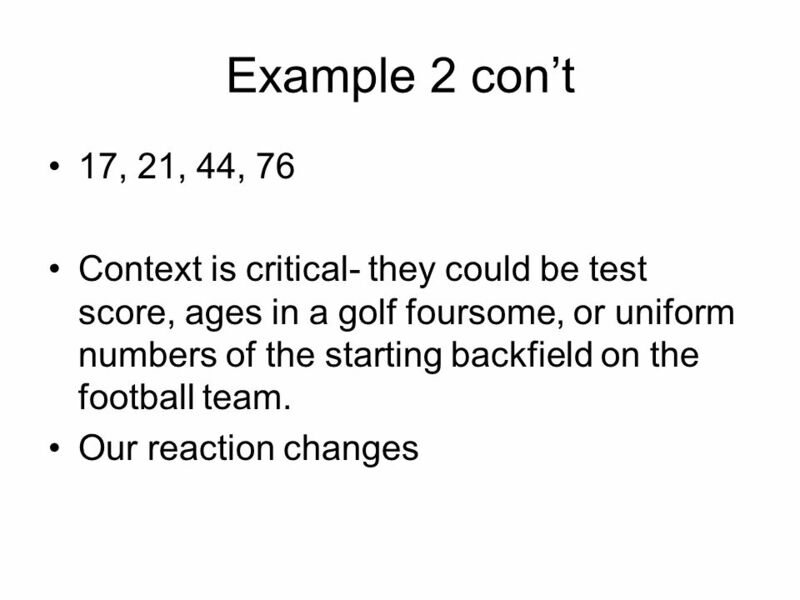 1 2 Test for Independence 2 Test for Independence.